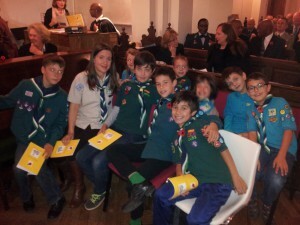 On Sunday 8th of November 2015 1st Madrid attended the Remembrance Service at St George’s Anglican Church to honour the people who helped keep the world safe during times of conflict. 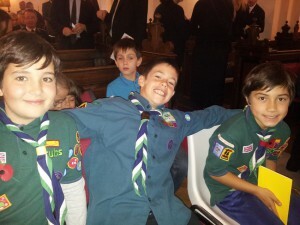 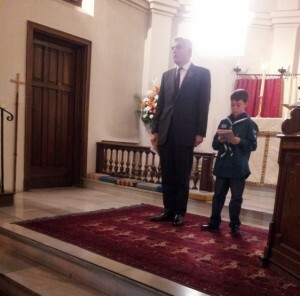 One of our Scouts read a line in the service. We all sat quietly during the two minute silence. 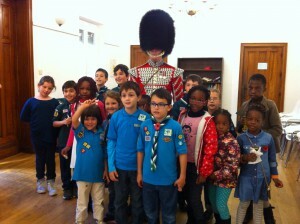 After the service we were able to meet the member of the Royal Guards who played the Last Post on his bugle. 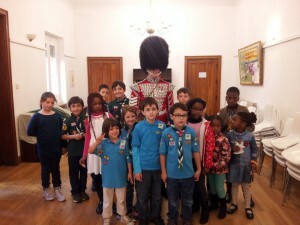 He told the Scouts that the Last Post used to be played by the Royal Guards to call the soldiers back to camp after they had been out visiting their families for the evening – this was the time before soldiers all had mobile phones! 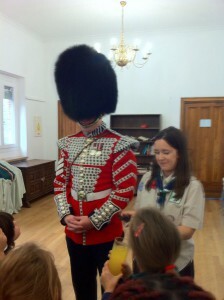 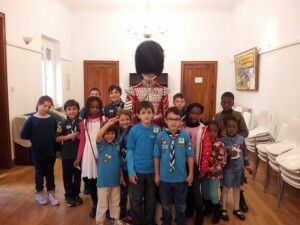 He let the Scouts touch the bearskin hat and even let them try it on.